Jadyn St. James is excited to start her job as game warden in Mudbug, Louisiana, and hopes it is the beginning of a new and improved life. She expected to run across any number of odd occurrences in the small bayou town, but she never thought her life would be in danger within a matter of days. And that’s not even the worst thing. Helena Henry was hell on wheels—both alive and dead—when she resided in Mudbug, and a year in heaven hasn’t improved her one bit. Now, she’s back and has brought trouble with her. 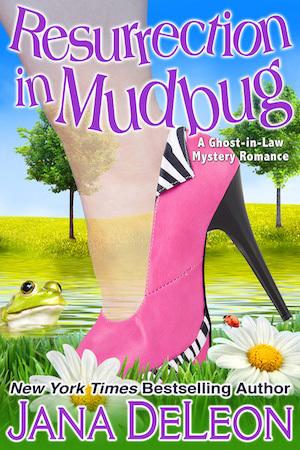 When it becomes apparent that a major crime is occurring in Mudbug, Colt Bertrand is more than frustrated to be saddled with an inexperienced game warden, especially one who looks like Jadyn. But it soon becomes apparent that they need to put their differences aside if they expect to solve the crime, and more importantly, stay alive.